An integral part of any Blackthorn & Brook holiday is the food that fuels the equine activities. However, there is one particular gastronomic delight that has attracted more attention than the finest dining on offer: my dear mum’s scotch eggs. Served as part of our lavish picnics on day-long rides in the countryside, there is nothing better than a perfectly soft-boiled bantam egg in a coat of local pork sausage meat with a crispy breadcrumb shell – the perfect riding fuel! 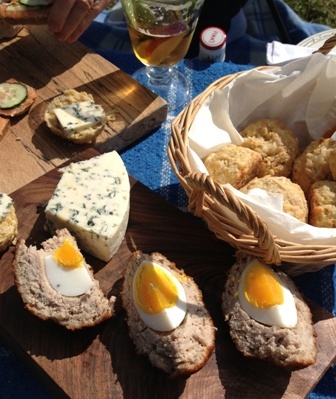 Mum’s scotch eggs as the centre piece of a recent Blackthorn & Brook picnic alongside savoury scones and smoked salmon sandwiches, washed down with plenty of Pimms! These little beauties often attract more attention than the scones, local cream and homemade strawberry jam, piles of homemade cakes or jugs of chilled, fruity Pimms or frothing champagne. Why? I think they have to be tasted to be believed! 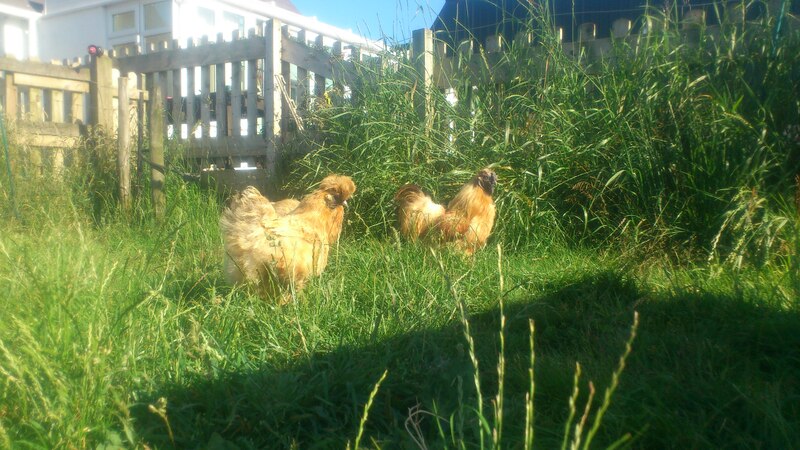 Thanks to mum’s bantams, too! This entry was posted in Hunting Diaries Blog by Megan. Bookmark the permalink.